Alison Limerick scored success in the 90's with the huge club anthem and her first solo-debut. The British singer Alison T. Limerick scored success in the 1990s with the huge club anthem "Where Love Lives", which was her solo-debut and a #3 hit on the U.S. Hot Dance Club Play in 1991. 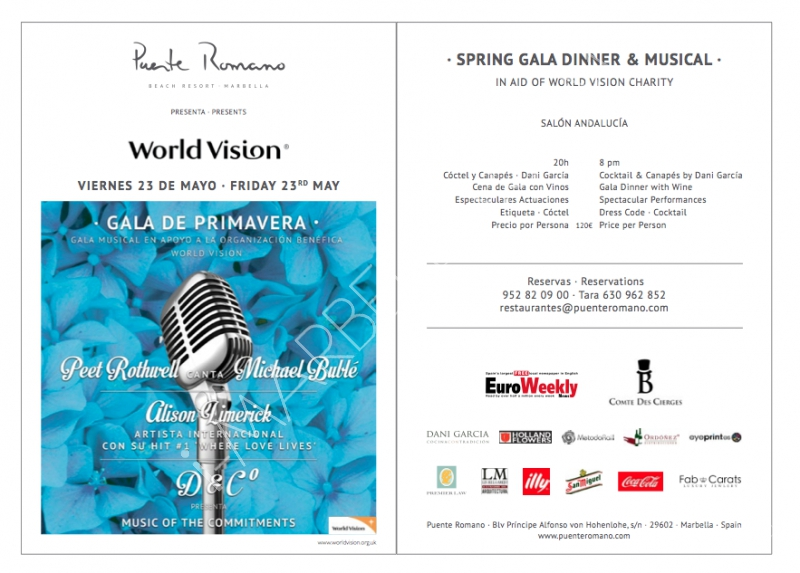 The pop star is performing live on the World Vision Charity Gala in Hotel Puente Romano on the 23rd of May. Limerick attended the London Contemporary School of Dance and switched to a music career, first as a backing vocalist, in the 1980s.She has appeared on Peter Murphy's album Holy Smoke and released her own first album in 1992. Alison Limerick is best known for her 1990s club anthems, her most successful and best known track being "Where Love Lives," her only US release, which was originally a club success in 1991, and a UK Singles Chart #9 smash when remixed in 1996. [ Her 1992 hit "Make it On My Own," reached #16 in the UK chart. With a Twist, Club Classics, and "Put Your Faith in Me" came out in the 1990s. "Where Love Lives" has made three separate appearances in the U.S. Hot Dance Club Play chart in 1991 (#3), 1996 (#4) and 2003 (#16).None of her full-length works were released in the US. Alison was the featured vocalist on the 1995 James Taylor Quartet album "In The Hand of The Inevitable", on the album's three solo vocal tracks. The tracks included the single "Love Will Keep Us Together" and the album remains the Acid Jazz label's biggest selling album. Alison Limerick worked with many famous artists and songwriters such as George Michael, Courtney Pine and Lamont Dozier. In 1993 she sang backing vocals on M People's song "Melody of Life" from its album Elegant Slumming. She appears in the British movie Collusion as the jazz singer and she is also notable as one of the (uncredited) singers heard performing the closing title song on each episode of Blackadder the Third. She now continues to record and sing live, for PA’s and with her own band. 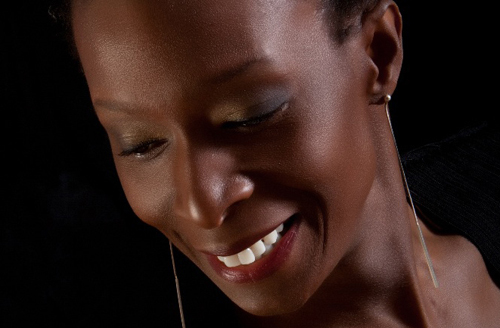 She can be heard singing soul/jazz, in various venues across Europe, and found being the Dance Diva in House music venues around the world performing her all-time classics like "Where Love Lives" and "Make it on My Own." 1. How did you start singing? How did it all begin? I don't remember a time when I did not sing, though what I trained to do was dance. My family are all very musical and a lot of my friends, when I was young, were musicians. It was inevitable that I would end up on a stage. 2. How did get the chance to do a club anthem like "Where love lives"? The song was written for my by Latti Kronlund. We had worked together a year or so before he penned it; he like my voice I like his work. We were a match made in heaven. 3. How did that song change your life? I went from being a jobbing musician (a singer/dancer/actress to be precise), working with other people in bands or in shows, to being a solo artist with the focus much more on my but essentially the job was the same. 4. How often do you perform now? On a busy week (unless I am performing in a show doing up to 8 shows a week) I perform twice a week. Some months I only perform twice a month or less. Some years I don't stop and am super busy, sometimes I have much more time for other stuff. My work is not all performance. Writing, recording, training all take my time . . . and that's just the fun bits. I'm in the music 'business' so accounts have to be done, meetings have to be arranged and attended, deals have to be done. I also spend a whole lot of my time just getting from place to place as I work all over the UK . . . and get to go abroad too. 5. What is your repertoire like now? Is it still club anthems or have you changed during the years? I have a number of different 'repertoire' each tailored to the event I am booked for. When I am asked to do the house/dance thing I do that. Usually a short set performed solo so as to let the club-heads get back to their dancing quickly. If I am performing with a single musician (usually piano) or with my band the repertoire can be more varied. Anthems from the 90's or earlier, newer songs, things we like; anything and everything is possible. We play for much longer but again the show is tailored to suit the event. At the moment I am enjoying making acoustic dance music (kinda dance meets Nu-Jazz) but I also have a more jazz jazz combo. I have made all kinds of music in my career. I've sung pop, rock, a little R & B, I have been in musicals and even done an opera. I love to sing and to be challenged. I seldom say no to a project if I think I can make it work, even if it might, at first sight, seem to be outside my comfort zone. 7. What can people expect from your performance in the World Vision Gala? Like I said, as I have been asked to be a doyen of 90's dance music, Im'a come wit' that. I will be performing some of my own songs from back in the day. 8. Have you ever been to Marbella? What do you think of Marbella? I did a show in Marbella several years ago, the night was great and the folk in the club were friendly. I did not get much time to see the town. I usually fly in on the day of a show and out early the next morning. This time I have a day to explore. I look forward to sampling a little of what Marbella has to offer. I plan to find a good fish restaurant and indulge myself. I am recording with my jazz project 'Algorisms' right now but there are plans afoot to get me into the studio to write some club-friendly tracks soon. I have been living my dream for a good long while now and sometimes wonder when the bubble is gon'a burst. Till it does Im'a keep on keepin' on. Dont miss her performance in Hotel Puente Romano in the World Vision Charity Gala on the 23rd of May.